Another interesting new bathroom design. 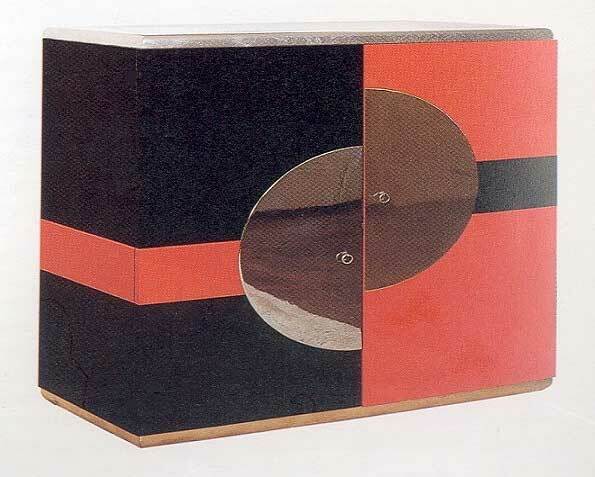 This design was based on an original Paul Frankl cabinet, shown below. The round door handle plate is a typical Deco feature, although Frankl enlarged & split this to make it more of an asymetric focal point. 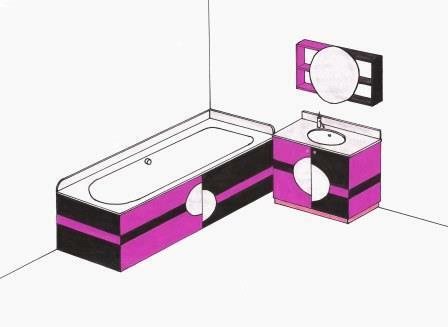 We would make this bathroom exactly to your requirements, as made to order, including other colourways (we may post some of these in the future). 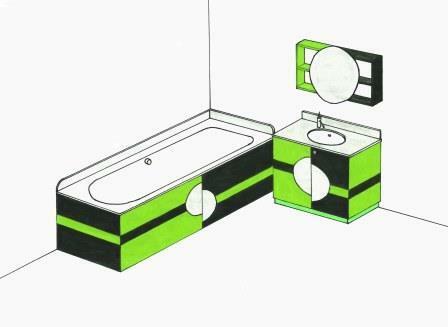 We can also adapt the design anyway you want, and you can also choose any colour you want. Or make a double width his 'n' hers vanity unit. 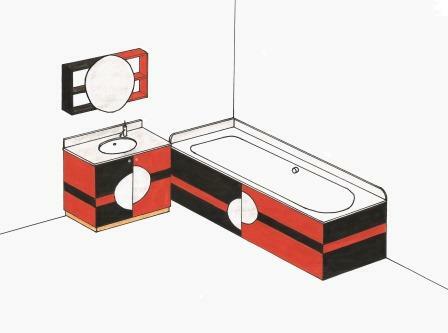 The asymetric geometric design makes for a very striking bathroom design. The other bathroom pieces, ie WC, shower were omitted for clarity. You do not need to go with the original Frankl colour scheme above. We've shown a few colour variations above. These show how this geometric style of Deco can look very contemporary & minimal, combining modern style with Deco styling.